We have been having some issues with our email server and as a result we may have missed a number of emailed queries. We are working as hard as we can to try and get this fixed. However if you have not received a reply from us within a 24 hour period, please either Facebook message HERE or email [email protected] and we will be able to get back to you ASAP. Many apologies for any inconvenience this has caused. The Event Village will be open from 7:30am and the car park from 7:15am. We recommend you arrive as early as possible, as with many large sporting events there will be traffic coming into the venue. Please plan your journey accordingly! 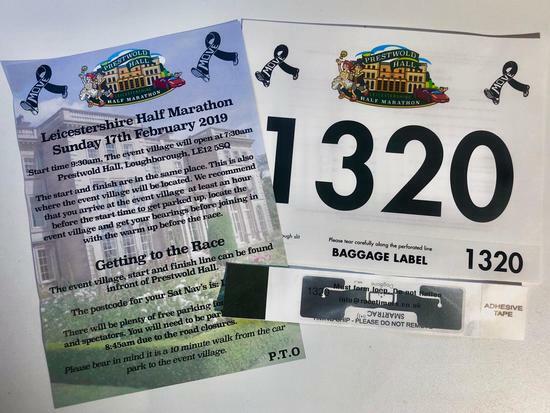 Please be sure to check your race pack contains your race number with detachable baggage label, race information leaflet and chip (as pictured below). Those who entered AFTER Monday 4th February will need to collect your race pack on the day. To collect your race pack, you need to make your way to the collection desks between 7:30 – 8:45am. It will take around 15 minutes to collect number and drop your bag off. The earlier you get there, the more efficient we will be on the day. You will only need one number attached to the front of your shirt. If you have your own pins then that would be great but we will have supplies if needed. Your timing chip will also be in the envelope, this needs to be attached to your shoe as per the instructions on the back of the chip. Please make sure you keep your number on at all times during the race. At the finish you can dispose of your chip (we do not need to collect them back). Good Luck for the run on Sunday from Team ACTIPH. ACTIPH Water is the UK’s first alkaline ionised bottled water. Through a unique ionisation process, purified water and a blend of electrolytes are supercharged to create a smooth and clean tasting alkaline water with a pH of 9.0+. ACTIPH is the healthy choice as you restore and maintain your natural balance, enabling you to live life to the fullest and get the most out of every day. Grab your bottle of ACTIPH at the finish line!! There will be water stations at the following points throughout the race: 3.5 miles, 7.5 miles and 11.5 miles. See the course map and elevation profile HERE. Each mile will be accurately marked out and there will be plenty of marshals to keep you on track. If you have a sat nav or mapping device we recommend simply popping the postcode into that and following the instructions given. As you get closer to Prestwold Hall here will be road signs and marshals to direct you into the car park. There will be plenty of FREE parking available for all runners and spectators a 10 minute walk from the event village (approximately a KM). 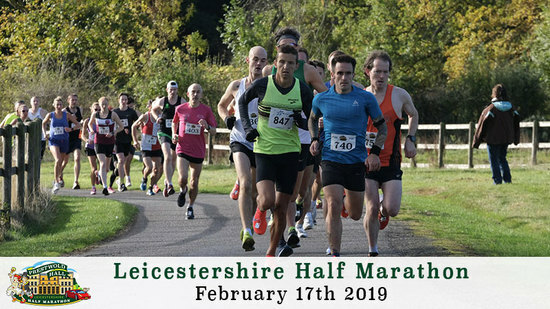 If you #LeicestershireHalf on Instagram with your race day collages and the best ones will feature on our page!